Sometimes being a mom has it's quirks. You know, the whole gig. It just has it's quirks. 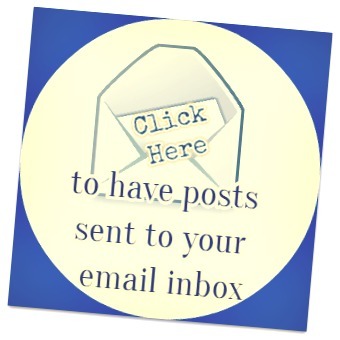 Here's a post for you. . . . A post with too many commas and dot. dot. dots and these things ~~ "~ ~ ~" And if you can picture it, I just spilled coffee all over my Mickey Mouse shirt. . . . . which I would probably be wearing~~even if I wasn't a mom. Oh, nevermind. You don't have to use your imagination. Here's a picture. See how I'm making your life easy this morning? Getting up before dark to drive to a soccer tournament. Most parents, at some point in their kids' lives will have to do this. Or something similar to this. I am not a morning person though. I mean, technically, I get up at 6:00 a.m. all week. But, I like to sleep in when I get the chance. That whole weekend, there was no sleeping in. My body needs rest! By the way, did anyone see American Housewife this week? Hi.Lar.I.Ous. Too funny. My hubby was watching it with me, which made it even funnier. The really funny thing is that I had this post in the works before I even watched it. Man did it strike a chord this past life, er. . .. . couple weeks. 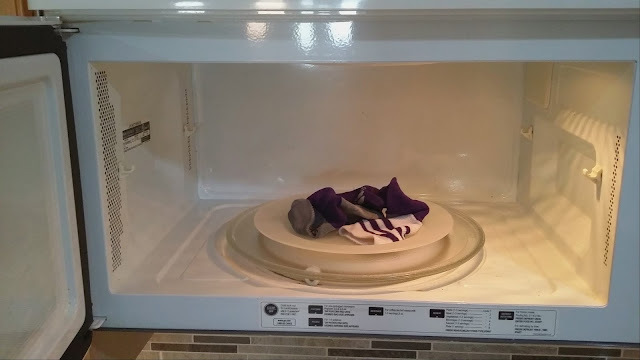 Drying a soccer sock in the microwave. My daughter had a soccer tournament almost two weeks ago now. Oh yeah~ I just referenced it in the "quirk" above. We had three games that weekend. My son did not have a soccer tournament that weekend. Here's the thing: their uniforms are the same, except for jersey numbers and the sizes of their shorts. The socks are the same. The. Exact. Same. Most parents can see a flaw with that already, right? My son had a game this past weekend, and I, being a great and organized mom, knew that his pair of soccer socks were clean. In fact they had been clean for a while. . . . you know, since his team wasn't in the soccer tournament the week before. Except. . .duh, duh, duh . . they weren't! Clean, I mean. The socks. Somehow, my daughter had ended up wearing both pairs of socks the weekend before, very unbeknownst to me. Or maybe it was beknownst to me, but I forgot. 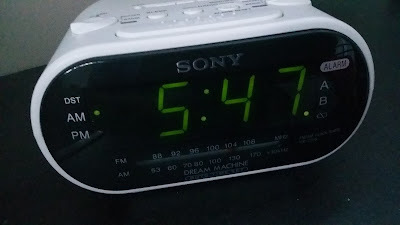 Maybe my brain wasn't working that weekend because it thought it was going to get to sleep past 6:00 a.m. on the weekend. Who knows??? You might be wondering~~what makes these socks so special? If they're both on travel teams, surely there has to be more than just two pairs of soccer socks in the house. Well, yes. Of course there are more than two pairs of soccer socks in the house, but game socks are part of the uniform. You can't just go wearing any ol' pair of soccer socks to a game. The team has to all look the same. Uniform. 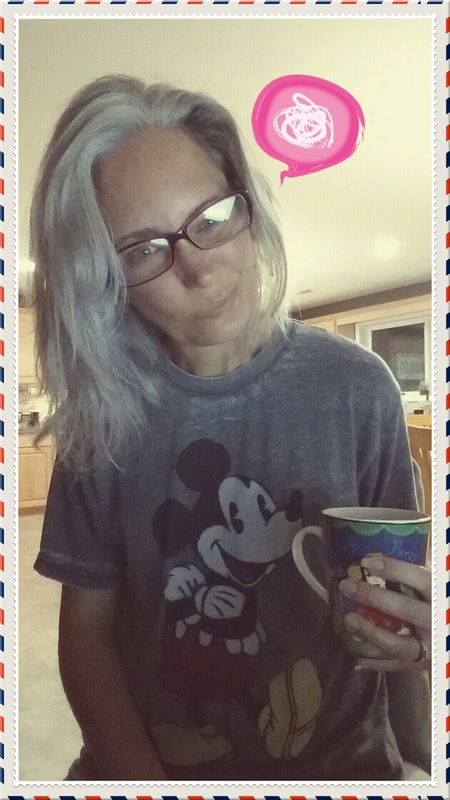 You know, I write this post because I know we've all been there before. I'm sure that at some point in your life as a mother (or father), you've had to stick a sock in the microwave. No? Well, let me finish the story. I, again. . . .being the "great and organized" mom that I am, had JUST thrown a load of dark clothes into the washer. A load that just happened to contain the purple game day soccer socks. Except one. There was one purple game day soccer sock that was still in a pile of dirty clothes on the floor of the laundry room. I don't know how one of my children was able to find that one dirty purple game day soccer sock, but they did. So, that child put a dirty soccer sock on one foot. Meanwhile, I'm digging through the washer to find a sopping wet purple game day soccer sock. I then proceed to try to wring that sucker out enough to throw it in the dryer. I put that sock in the dryer by itself to try to dry in 5 minutes. 5. Minutes!!! At this point, we're already going to be late for the warmups. The dryer wasn't working quick enough, so I did what any other sane mom in this situation would do. I put it in the microwave. On a plastic plate. That sock never dried. My poor son had to put a hot, wet purple game day soccer sock on his foot.. . . . . AFTER we tried to hang it in front of the heating vents in the van on the way to the game. So, there you have it. . . . . motherhood. Making a late evening trip to a music store to get a new trombone. My son has band every other day at school (M,W, F one week. T, TH the next). In the 5th and 6th grade they are required to either be in the band or take choir. My son didn't want to sing. The kids have a "choice" of four instruments that they can play. My son was told to play the trombone. It turns out he's good at it and I think he really has fun with it. We've been renting a trombone from a music store since last Fall. The trombone is so old and beat up. He realized last Fall that it's dinged and beat up, so much so that he has a hard time sliding it. It's a slide trombone. Or something. Truthfully, I don't know that much about trombones. I figure this is his gig. He's the one who's supposed to know. I put my name on a list LAST December to get a new (or at least better) trombone if one came back into the store so that we can switch it out. No call. Ever. Not even over the Summer when some trombones should have been returned. This school year, he has been having the same problems with that trombone. I mean, it's not like it's going to magically fix itself. I called the store and they still don't have another trombone to switch it out with. The only thing they can do is let us bring the one we have in and they can try to fix it. Only. . . . . my son has to have that trombone for band every other day. Every. Other. Day. The man on the phone at the music store obviously couldn't tell me how long it would take to fix it without seeing it. And my son has a band concert coming up this week, like two days from now. We need the trombone in hands. So. . . . . we pressed on. Slid on??? 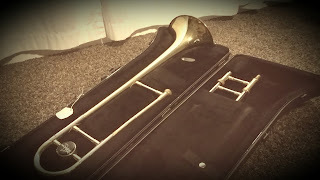 We (my son) practiced the trombone. Only, the practice looked more like my son trying to get the darn thing to slide and it not sliding and him cursing the thing and getting ready to throw the darn thing through our TV. There was more "trying" and frustration than actual practicing going on. T h e n. . . . when he was trying to practice the other night, the spit valve fell off. First of all, spit valve. . . . . . eewwwwww! Second of all, we're both done. Just done. I had no idea what to do. We were both frustrated. I asked him if the school had a trombone that he could borrow until we could figure it out. He said "No", or maybe he didn't answer me. I have no idea. We ended up calling a different music store and just getting a new rental from them. We had to leave our house at 7:30 at night and go get a new rental. And sign our life away. I'm truthfully surprised that this store didn't ask me to turn in my daughter for collateral. There were so many things that they needed on that application. I understand, though. Instruments are expensive. Good trombones are $1200 brand new. I told my son he better treat this thing like a baby. But you should have seen his face when he was finally able to use a trombone that works the way it's supposed to. That smile was priceless. And so worth the trip to the store. At 7:30 at night. Under duress. Dry Ice???? Sometime today I get to figure out how to go buy dry ice. Yay! Quirks. 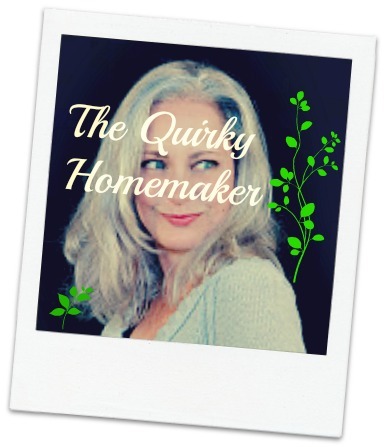 Quirks. Quirks. If you're a parent, what kind of quirky things have been happening in your life this month? I suppose right now I should just make that dry ice phone call and get it over with and make more coffee!